"You won't put down this powerful and painful tale...a gripping mystery." Earl Marcus thought he had left the mountains of Georgia behind forever, and with them, the painful memories of a childhood spent under the fundamentalist rule of his father RJ’s church—a church built on fear, penance, and the twisting, writhing mass of snakes. But then an ominous photo of RJ is delivered to Earl’s home. The photograph is dated long after his father’s burial, and there’s no doubt that the man in the picture is very much alive. As Earl returns to Church of the Holy Flame searching for the truth, faithful followers insist that his father has risen to a holy place high in the mountains. Nobody will talk about the teenage girls who go missing, only to return with strange tattoo-like marks on their skin. Rumors swirl about an old well that sits atop one of the mountains, a place of unimaginable power and secrets. Earl doesn’t know what to believe, but he has long been haunted by his father, forever lurking in the shadows of his life. 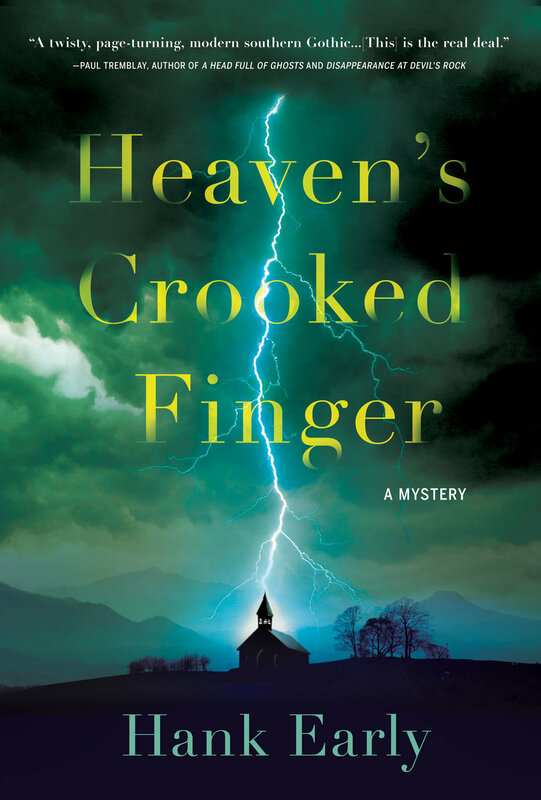 Desperate to leave his sinful Holy Flame childhood in the past, Earl digs up deeply buried secrets to discover the truth before time runs out and he’s the one put underground in Heaven’s Crooked Finger, Hank Early’s thrilling series debut. Order Heaven's Crooked Finger: Amazon | Barnes & Noble | IndieBound | BAM!